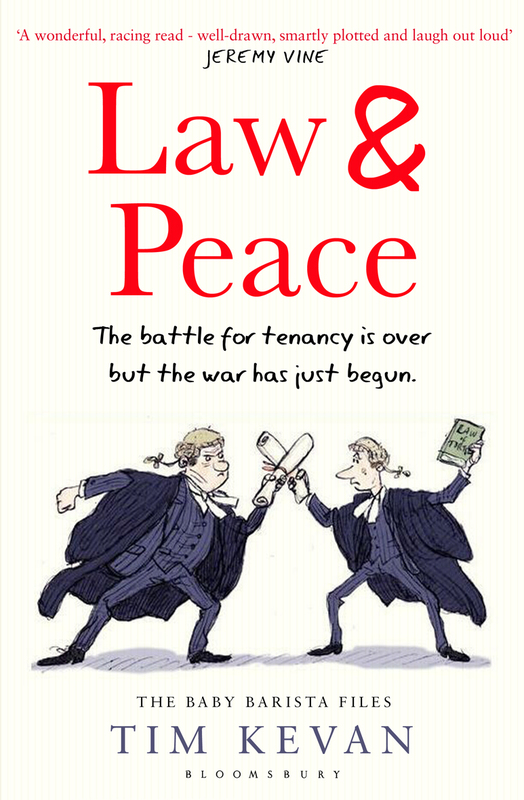 Certainly, the pompous, jargon-laden speech of the Freeman in the video clip is reminiscent of the lawyers in Law & Peace: The BabyBarista Files, a recently-released satirical novel about the British legal profession by former barrister Tim Kevan. And the Freeman movement as a whole — essentially anarchy dressed up with ritual and long-winded rhetoric — bears more than a passing resemblance to Kevan’s picture of a ceremony-obsessed legal world where, behind the scenes, anything goes. A recurrent theme in Law & Peace is the cynicism displayed by lawyers in private. At one point, the members of Kevan’s fictional chambers of barristers break off from a session of recruitment interviews to reflect on the sycophantic responses of the applicants to their questions. Later on, over a couple of pints in the local pub, they compile a set of truthful answers. Why landlaw and tenant [aka real estate]? It may be fiction, but the grain of truth found in this witty distillation of Kevan’s ten years practising as a barrister in London gives an insight into why the U.K. public have become sick not just of politicians and bankers, but increasingly of lawyers, too. In his rebuttal of the Freeman movement, Gardner argues, not a little pompously himself, that “law is the friend of political progress, not its enemy.” Given the legal profession’s failure to live up to this lofty billing during the boom years, perhaps it’s time lawyers shouldered some of the blame for the rise of the Freeman movement, rather than simply telling everyone how stupid it is.